Een publicatie door Theo Klein met gegevens over oa. de families Holst, De Wilde, Meedendorp, Hukema, Rietmeijer, Huisman, Doedens, Kooistra, De Koning en Fidder. 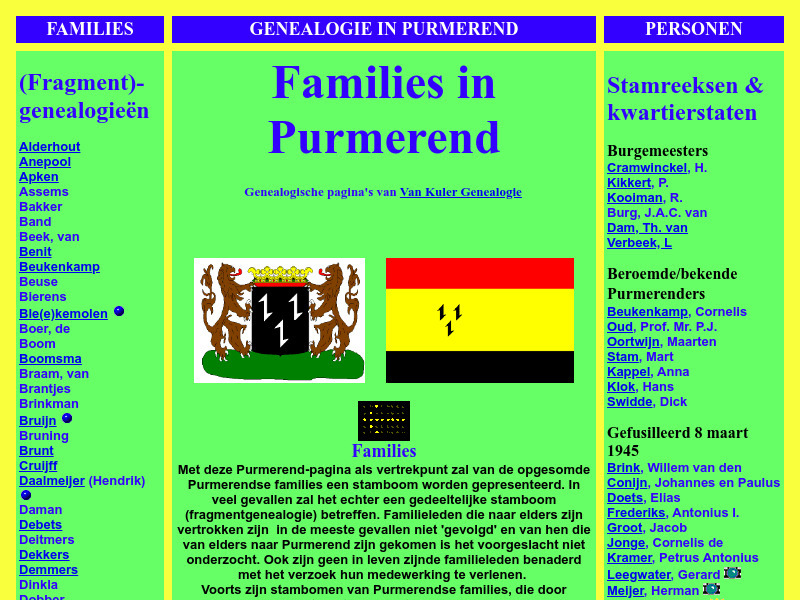 Families in Purmerend; circa 80 genealogische overzichten: stambomen, stamreeksen en kwartierstaten. Een publicatie door Wim L.M. Paternotte met gegevens over oa. 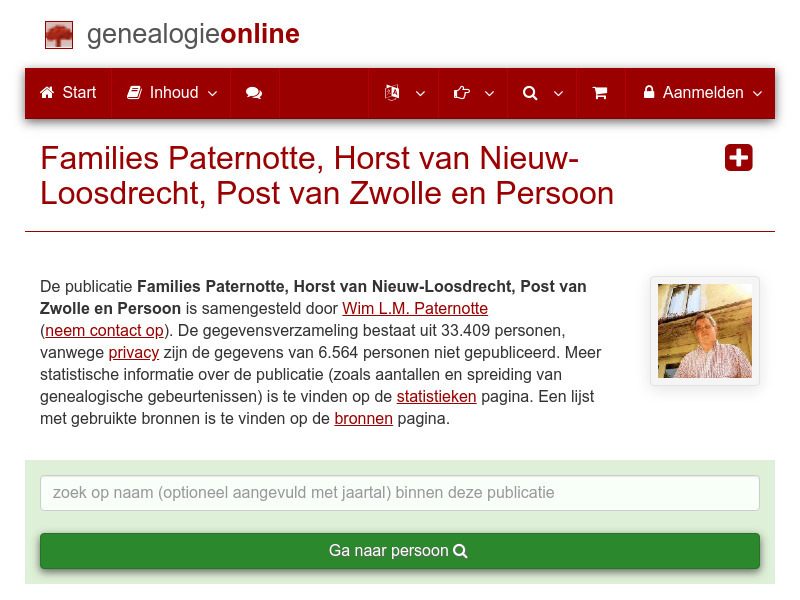 de families Paternotte, Persoon, Paternostre, Paternoster, Horst, Paternot, Paternotre, De Leeuw, Van Doornik en Verheul. 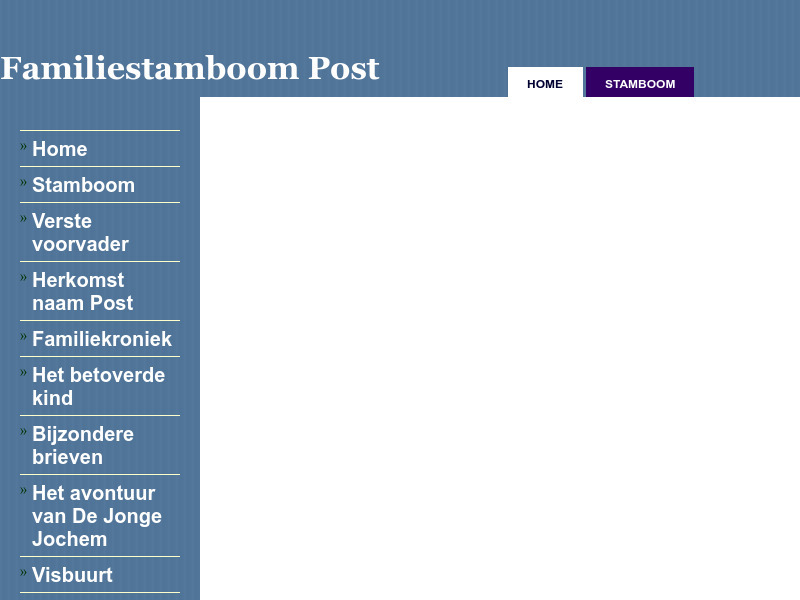 Stamboom Post. Veel over Urk en Den Helder. 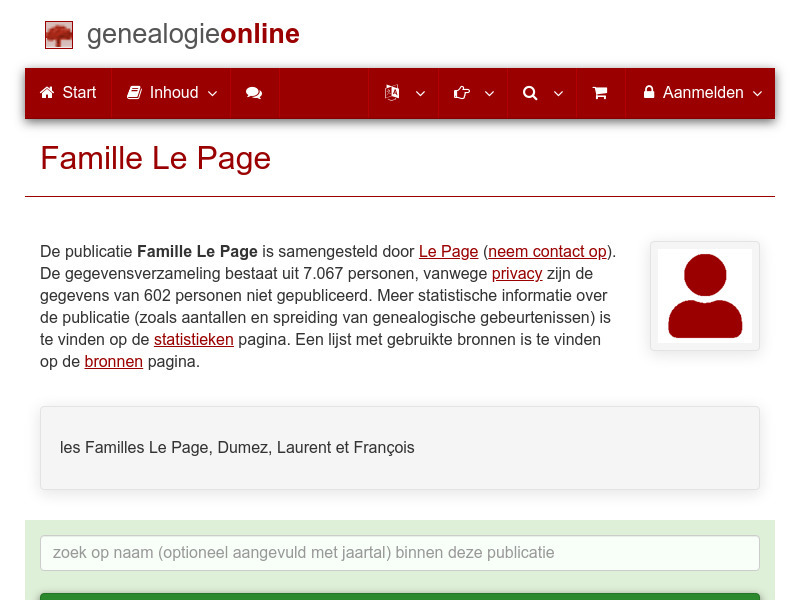 A genealogical publication by Le Page with information about, among others, the families Le Page, Laurent, François, Jouin, Pellé, Goasguen, Tremoureux, Paige and Salaun. A genealogical publication by Pillyser with information about, among others, the families Pylyser, Decarne, Blaevoet, Coudeville, Pilyser, Debril, Caulier, Vanveuren and Vandewalle. A genealogical publication by Jean Pichette with information about, among others, the families Quenneville, Leblanc, Quesnel, Lévesque, Pichet, Cyr, Landry, Boudrot and Hamilton. A genealogical publication by Augusto Paulino Soares de Souza with information about, among others, the families Hermanny, Graça Couto, Soares de Souza, De Alencastro, Da Graça Couto, Graça Couto Pinho, Soares de Souza Rodrigues, Paulino Soares de Souza and Graça Couto Campello. 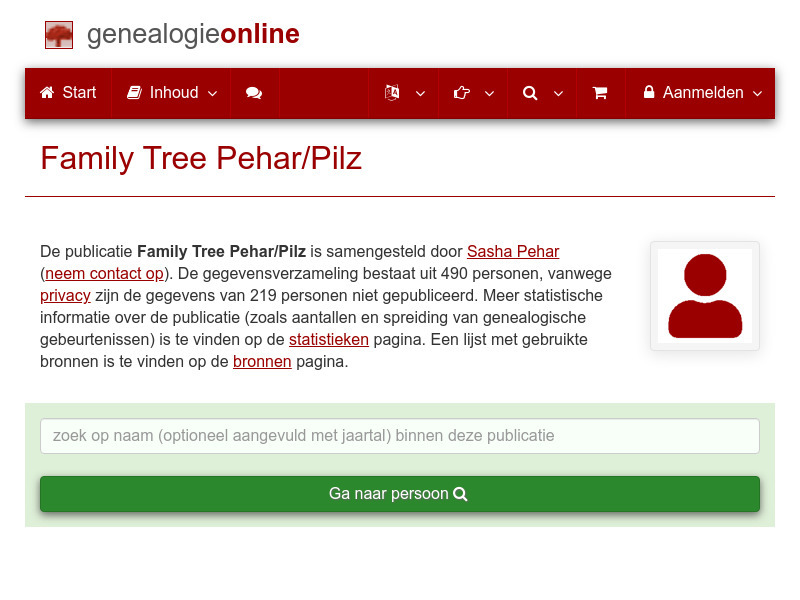 A genealogical publication by Sasha Pehar with information about, among others, the families Shuttleworth, Hegenbarth, Finger, Pilz, Pehar, Burrows, Schall, Perry and Hanson. A genealogical publication by Mauricio posada with information about, among others, the families Trujillo, Isaza, Velasquez, Henao, Gonzalez, Garcia, Moreno, Posada Correa and Henao Henao.